Hong Kong has emerged as the most desirable destination for people aspiring to reside and work abroad. The country has opened its doors for skilled workers and wealthy investors, who wish to work and invest abroad. Hong Kong is in dire need of skilled workers and has designed many schemes to attract fresh talent to the country. Hong Kong Quality Migrant Admission Scheme is one of such schemes that is especially designed to lure skilled professionals in to the country. If you are interested to immigrate to Hong Kong under QMAS, you need to qualify under Hong Kong Immigration Points Calculator. Hong Kong QMAS is a quota-based entrant scheme that is designed to attract fresh talent who would contribute their skills for the economic development of the country. Applicants, who are issued Hong Kong QMAS successfully, are not required to get a job offer prior to their entry and can bring their spouse and dependent children provided they are capable of supporting themselves and their family members during their stay in the country. In addition to this, applicants need to satisfy certain additional Hong Kong QMAS requirements to enter into the country. In General points based test, applicants’ eligibility is evaluated based on certain factors which include age, educational qualifications, work experience, language proficiency and family background. 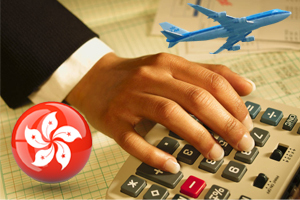 Under this category, Hong Kong QMAS applicants need to score 80 points under Hong Kong immigration point’s calculator. Achievement based points test is for individuals with exceptional skills and talent who have outstanding achievements. Under this category, applicants need to score 165 points in one scoring factor to qualify under Hong Kong immigration points calculator. Hong Kong Immigration, Hong Kong QMAS Points Calculator, Hong Kong QMAS Visa, Hong Kong Quality Migrant Admission Scheme, Migrate to Hong Kong, Migrate to Hong Kong from India Hong Kong Immigration, Hong Kong Immigration Points Calculator, Hong Kong QMAS requirements, Hong Kong QMAS Visa, Hong Kong under QMAS scheme. permalink. How to acquire a Hong Kong Visitor Visa?